Sewing is a great hobby for all ages. It can a fun activity enjoyed by the entire family, with everyone working on individual projects to show off at the end. It’s also great for developing problem-solving skills, attention to detail and strong motor skill. You can even learn math and spatial awareness from this kind of projects. Check out these easy sewing projects, which include Circle Zip Earphone Case, Knot Bow Headband, Sewing Purse Bag Organizer, Cute Mini Skirt, Reversible Fabric Basket and more. Most of these quick and easy sewing projects have tutorials and patterns to guide you and save you money in the long run. 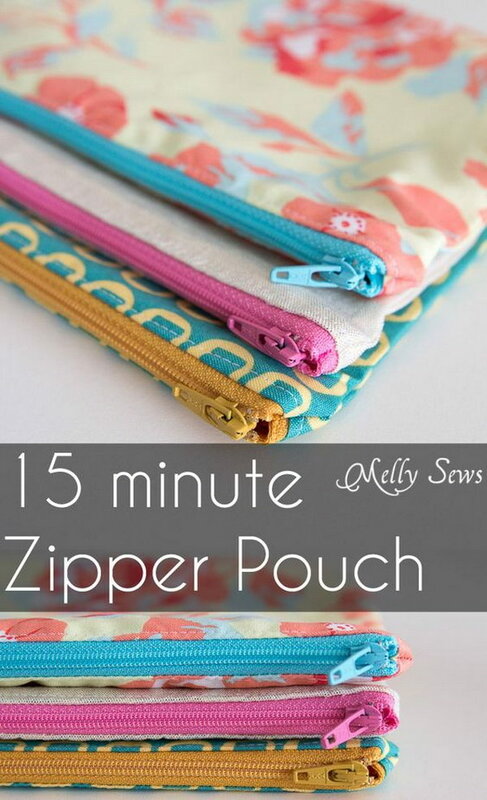 With the written and video tutorial, you can make any size zippered pouch you’d like for storing little bits. Get the tutorial via melly sews. 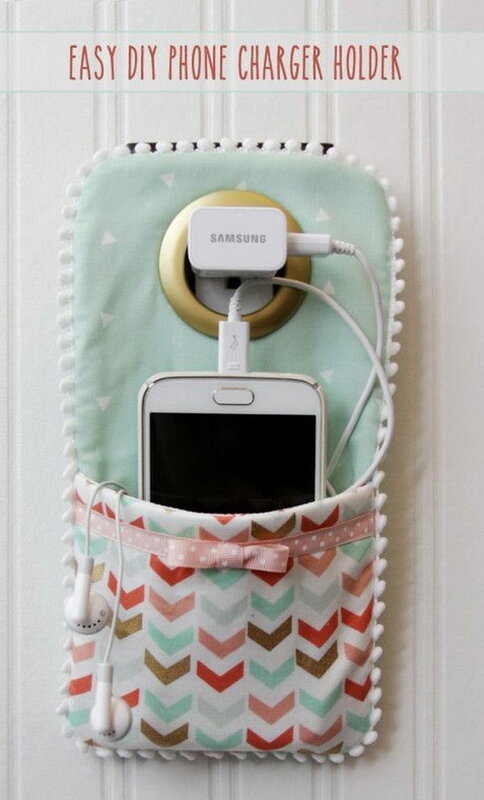 This DIY Phone Charger is so easy to sew up and makes such a cute holder. Get the tutorial via flamingotoes. Keep your earbuds tangle-free with this easy to make circle zip earphone case. This is also a cute way to keep your earbuds always ready to go. Get the tutorial via erinerickson. 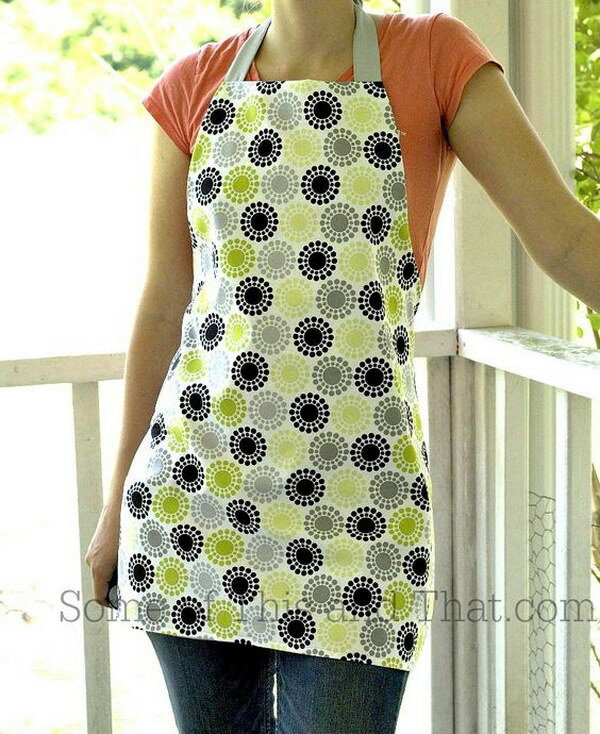 It is very versatile, quick to sew, and so cute. Get the tutorial via merricks art. 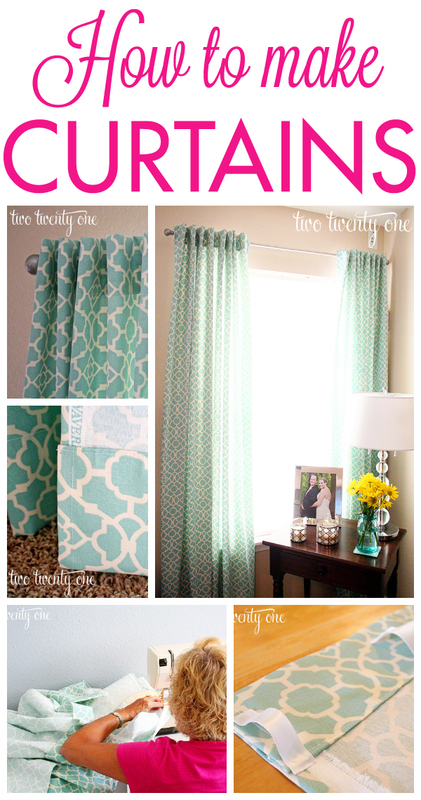 Get the tutorial via birch fabrics. 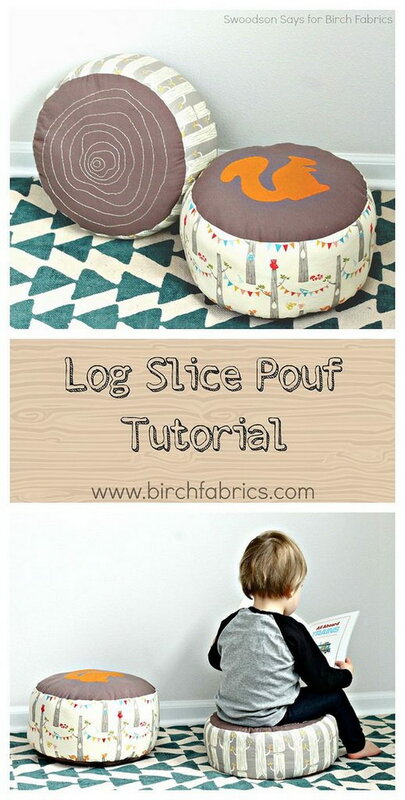 A quick sew to make kid size reading poufs that look like log slices. Get the tutorial via swoodson says. Get the tutorial via coral and co. 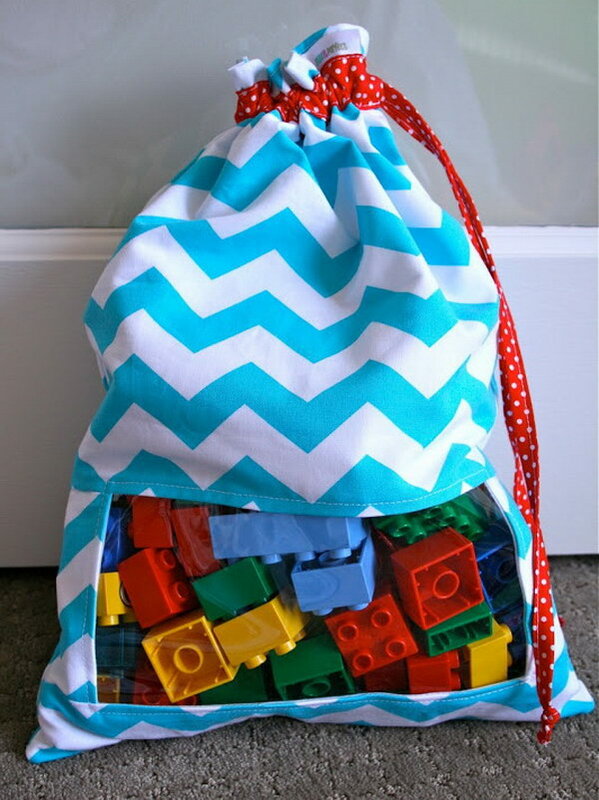 Check out the easy tutorial for Peekaboo Toy Sacks to store kids toys via toni coward. This is pretty easy to do for anyone. Check out the tutorial via fleece fun. 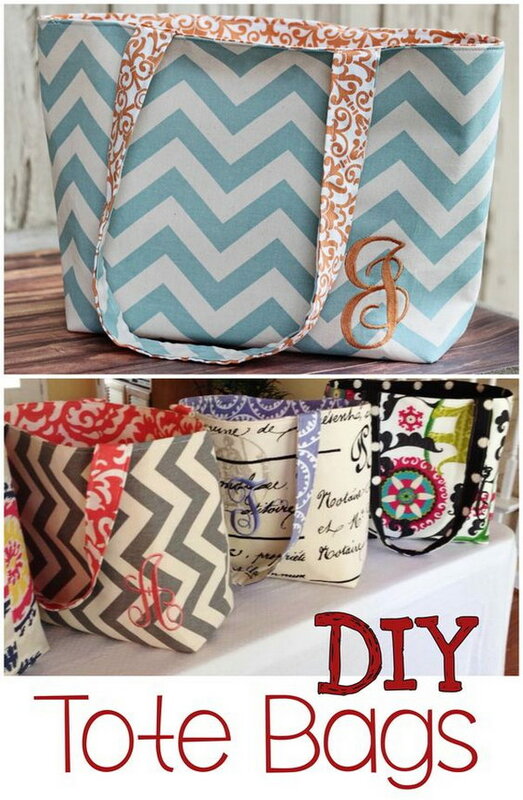 Learn the DIY picture tutorial on how to sew a great purse bag organizer via hand ma diya. Get the free pattern and tutorial on how to sew a crochet vintage flower purse via hand ma diya. 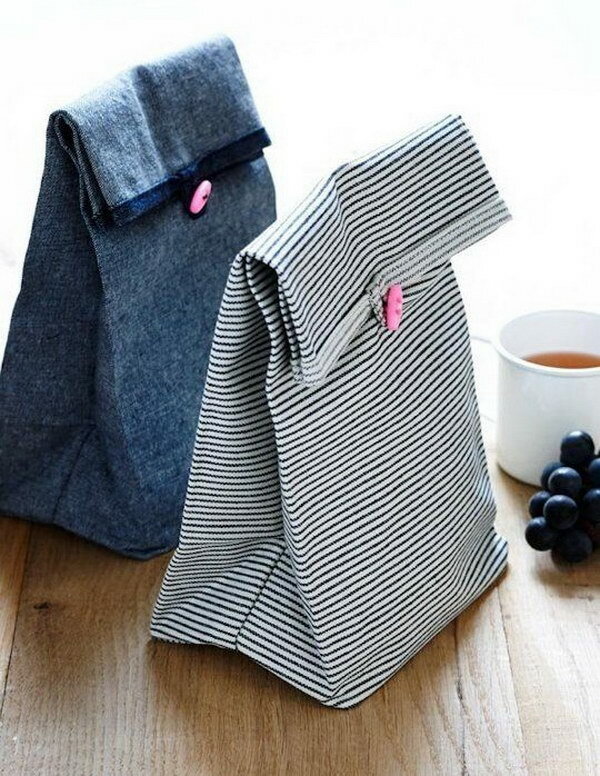 These button lunch bags are cute with fold over flap and button closure. Get the tutorial via purl soho. I love lined curtains so much. They are elegant, block double the light and protect the fabric from fading. This tutorial show you that making curtains needn’t be left to the professionals – you can make your own curtains inexpensively and easily! Get the tutorial via two twenty one. Mini skirts are a simple sewing project, and a classic style for girls that will never die out. Get the tutorial via fabart diy. Get the tutorial via someofthisandthat. 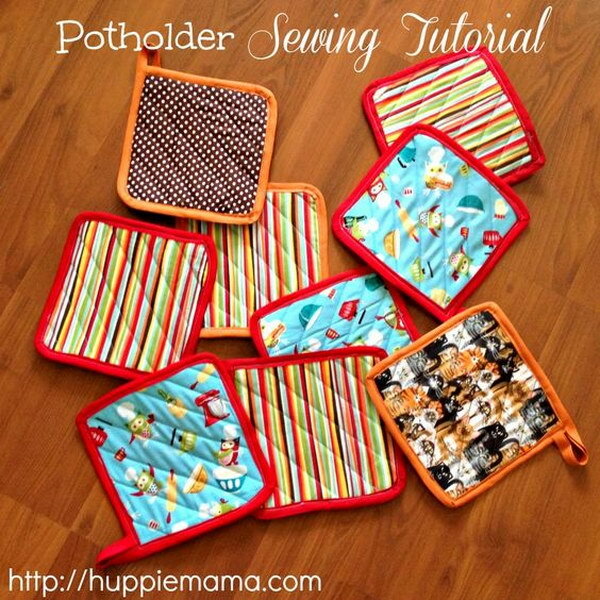 Grab some leftover scraps or old towels to make these practical potholders. They are not only fun to make but will allow you to safely enjoy cooking and baking your favorite dishes and treats. Get the tutorial via huppie mama. Everyone needs a unique and sturdy bag to tote around all of their essentials in. They can also become part of the gift when used as a gift bag. Check out the tutorial on how to make this great beginner sewing project via sweett makes three. 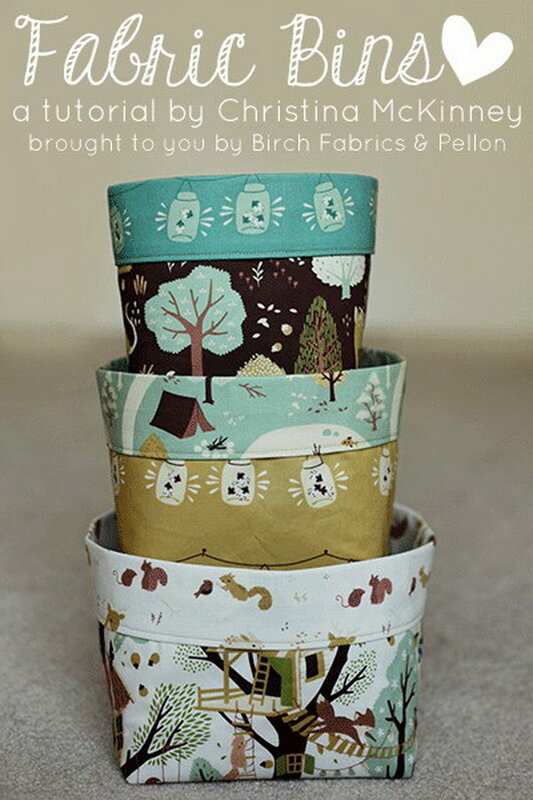 You can make fabric bins in different sizes with this very easy tutorial. They are ideal to store the small items at home. Get the tutorial via birch fabrics. 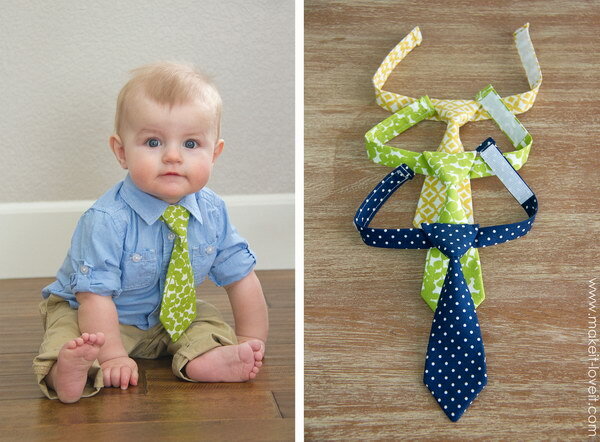 Little neckties are so cute on babies and toddlers! And they’re also such a perfect way to dress up a plain white tee or shirt with a pop of color and whimsy. 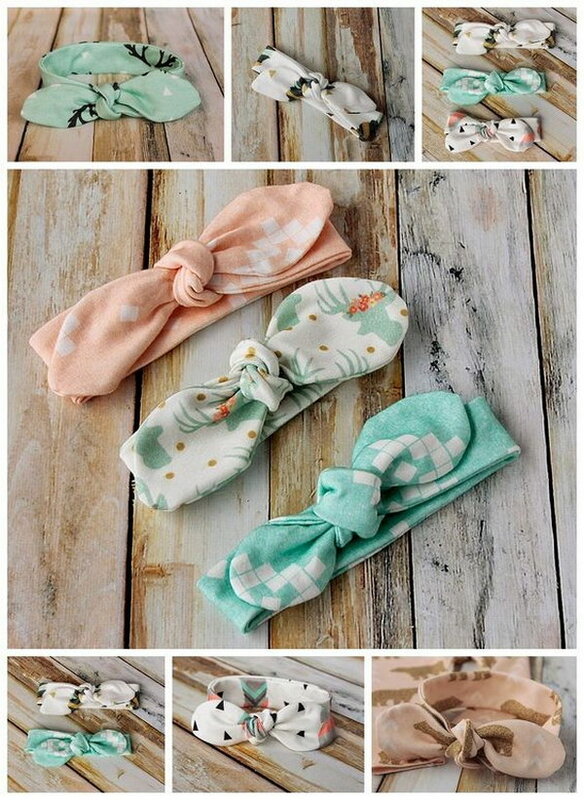 Check out the easy tutorial on how to make cute little guy ties via makeit-loveit. 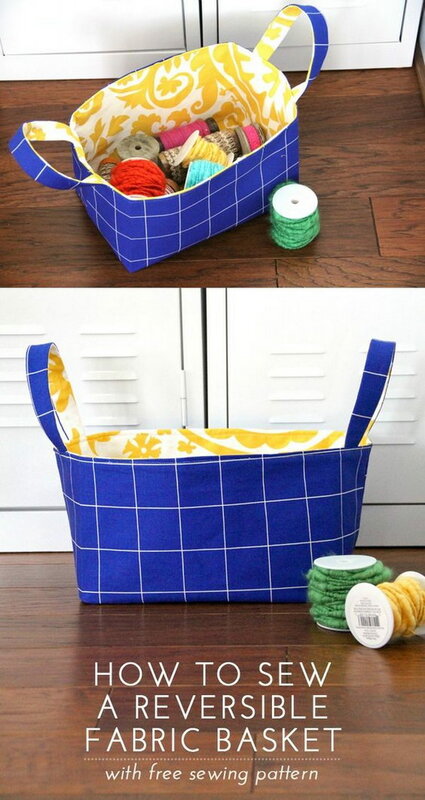 This DIY reversible fabric basket is a great way to showcase or hold products in any room. Get the tutorial via me sew crazy. 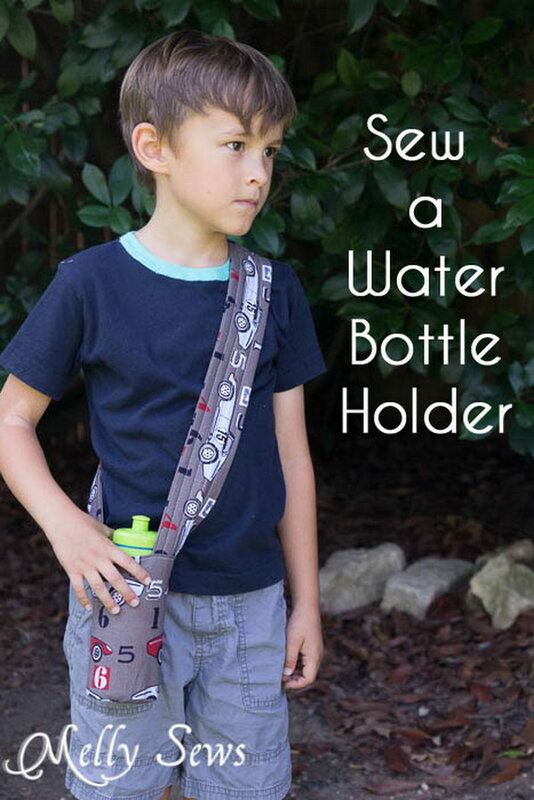 Now kids can carry their own water with this cool shoulder strap water bottle holder. Get the tutorial via melly sews.